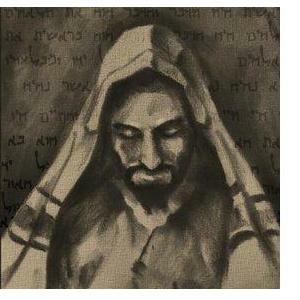 When I was 15 years old, Yeshua came into my room. Does that sound crazy? Maybe. But it’s true. I was a 2-year-old believer, having accepted Yeshua as my Savior in a Charismatic Catholic Church. One night in June I woke to a booming sound of men’s voices, chanting something that I could not make out. All I knew was that I was terrified and couldn’t move a muscle. I couldn’t open my eyes nor open my mouth to scream for help. So what did I do? I screamed in my mind. I started reciting the Lord’s Prayer, begging God to help me. As I did, I noticed that there was another sound in the room, one that I could barely hear among the explosion of sound that filled the room. As I tried focusing on the underlying sound, I heard, “in the darkness” and immediately everything stopped. The sound vanished and I could move. A few minutes later, the phone rang. Not a cell phone, because there weren’t any then. No, this was the house phone – the one that hung on the kitchen wall with a really long cord so you could wonder all over the place. (Except that this cord always seemed to be tangled, so you couldn’t really go very far.) But I digress. So the phone rang and before my mother answered, I knew that it was my cousin’s husband calling to say that my cousin had her baby and it was a girl. I am not a prophet, but I knew this beyond a shadow of a doubt. Before my mother had a chance to tell me, I told her. Now my mom and I shared the two bibles in the house. One was a big white Catholic bible and the other was ‘The Way’. 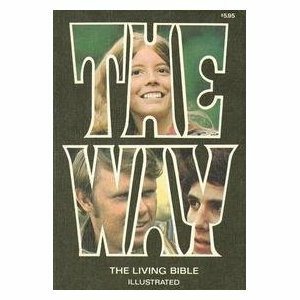 Mom had been reading The Way for several days, so I was in the Catholic Bible. The morning after this terrifying incident, I picked up The Way. It opened to my mom’s bookmark and there on the page were the words ‘in the darkness’. Can I tell you that this got the attention of one 15 year old? I looked to see what preceded the phrase, and there was the promise that God would not leave me in the darkness. I hate to admit it, but this happened right before I walked away from God and rebelled against my mother. Why would I admit that? Because of a recent conversation that brought all this to mind. I was at TAK on Erev Rosh Hashanah when a friend I have been concerned about showed up. I was thrilled to see him. After service, we talked for a while, and he expressed his concern for family and friends who think they are Christians, but might not be. He is worried that they are going to hell. I was thinking about this conversation when I got home. Earlier that day a group of us had gathered for lunch, and one friend had given me a gift. Because I was hosting, I did not have a chance to look closely at it. However, in the quiet of the night as my granddaughter and I were winding down, I did. 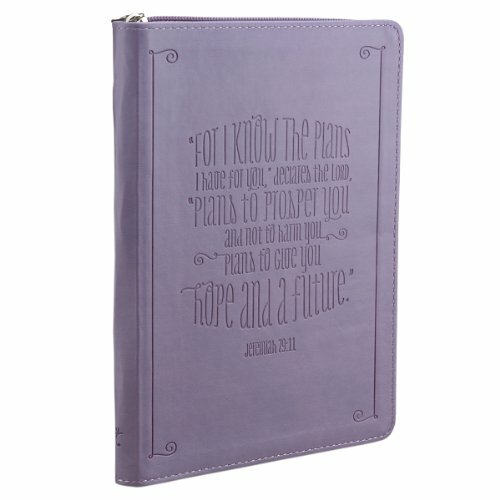 It was a purple journal. (Is there any other color?) At the bottom of each page was a scripture verse. The manufacturer had the ribbon bookmark in one page. My jaw dropped as I read, ‘God has said, “Never will I leave you; never will I forsake you.”’ – Hebrews 13:5. Yeshua’s words came flooding back to me. My granddaughter saw the look on my face and asked what was wrong. I started saying, “When I was 15…” and she immediately responded with “Jesus came into your room” because she knows the story. I had to write to my friend and explain to him that God reminded me that He promised He would not leave me in the darkness. Throughout my 43-year walk with Him, He never left me in the darkness – even in the darkest darkness that I chose to embrace. Would I have gone to hell if I died during that time? I honestly do not know. But this I do know – He promised He would not leave me and He didn’t. He rescued me from myself more times than I care to admit. I tell you this today because I believe this is a reminder someone needs to hear. You see, on Sunday (as I was going through the Torah portion, preparing to facilitate the study) I saw the promise again and knew I had to share it.